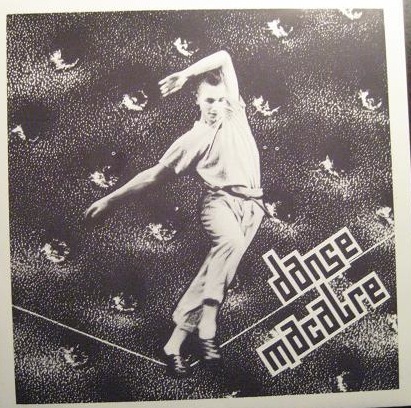 Angel, the only effort by UK new wave band Danse Macabre, is one of the many little lost gems of the ’80s wave scene. This 7″ is firmly rooted in the UK sound, in particular David Bowie, who comes to mind immediately while listening to these two songs, but the band isn’t limited by it. On the contrary, they have developed a very original and interesting sound, in which the typical UK sound, the synth-driven minimal wave and the romanticism of the gothic rock movement meets in balance and harmony. One of the most interesting features of Danse Macabre, indeed, is the perfect balance between guitar and synth, a very rare characteristic since usually the wave bands tended to privilege one against the other. The two songs here are both very good, but the masterpiece is the A-side tune, Angel, a very atmospheric track, with a strong crescendo and a wonderful use of minimal melodies, compelling bass lines and guitar arpeggios. The other track, Oh no not I, is the one on which the Bowie’s influence is more strong and privileges the rock side of the band against the wave one a bit. It’s a classy tune, less atmospheric than Angel but more energetic. The synth is more in the backline, but it’s as important as it is on Angel, since it balances the guitar sound perfectly. According to the 7″ from the underground blog, the band after releasing this vinyl changed it’s name to Innervision, but I couldn’t find any record released by this later incarnation of the band. So, Angel, is sadly the only effort that these guys released.